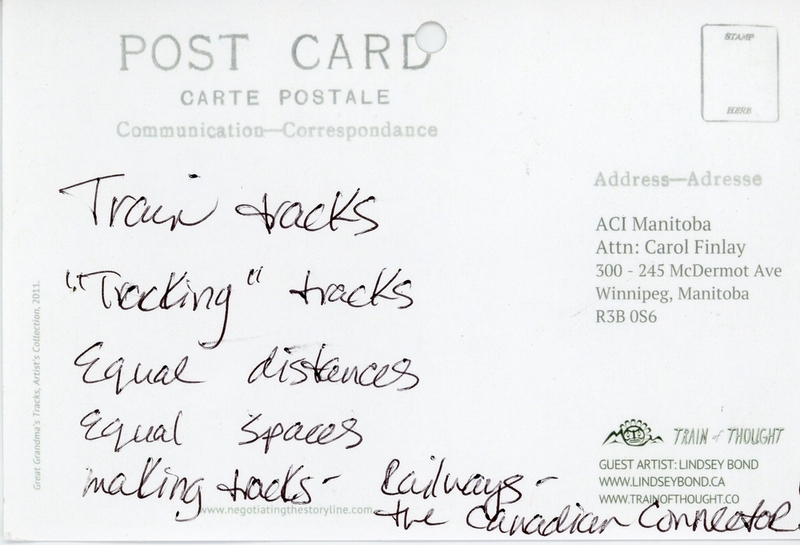 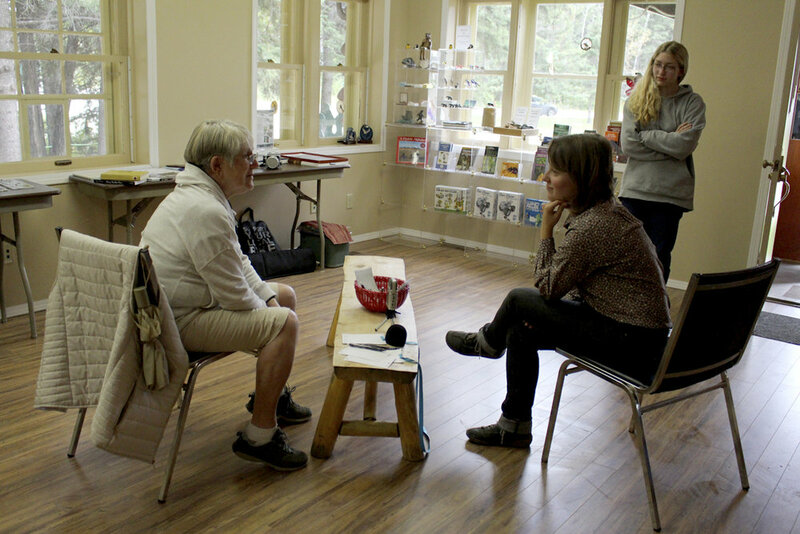 Negotiating Spaces is an evolving installation working to continue an intergenerational dialogue about the affect of the railway on individuals memory and identity in Canada. 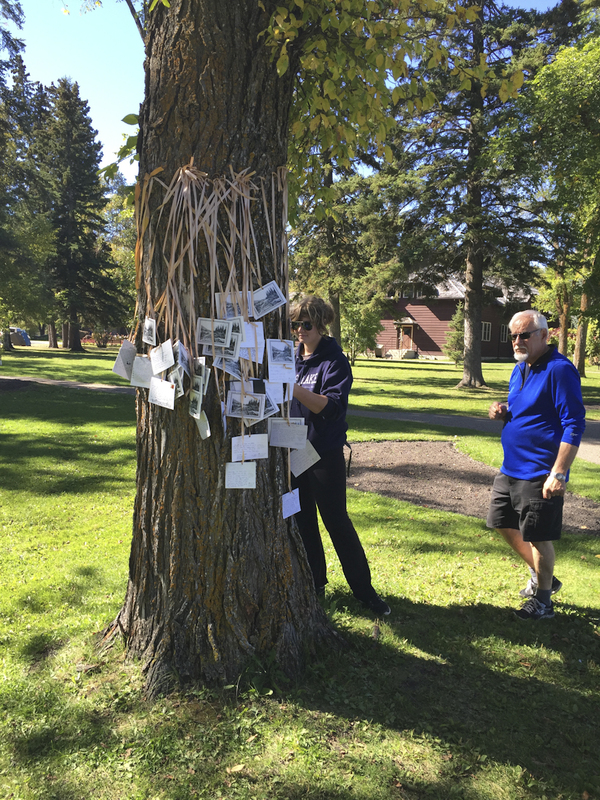 Bringing together Indigenous and settler narratives, this project strives to create an alternate archive of images and collected stories that are not in the history books, rather those that live in the memory of the people and land affected by the railway. 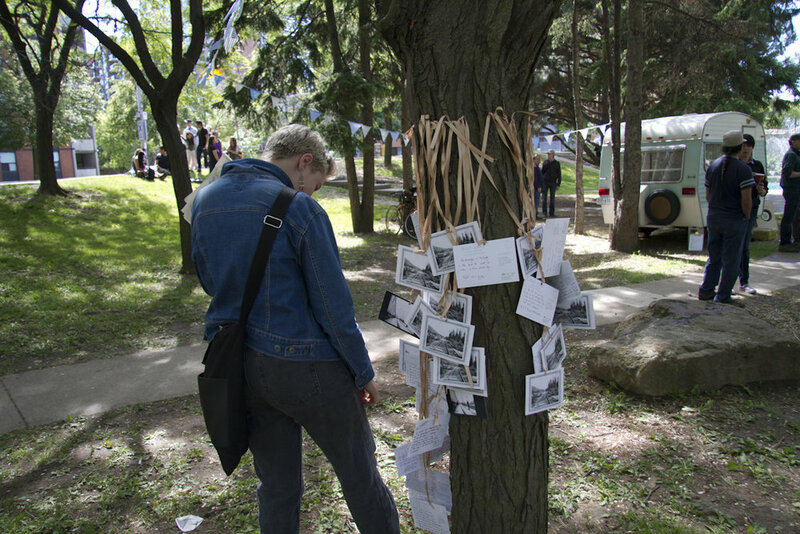 Comprised of photography, video, collaborative performance and participatory postcard installations, Negotiating Spaces utilizes the “memory-site”, as a term and platform binding the physical land site and the collected narrative; identifying sacred spaces and locating forgotten memories. 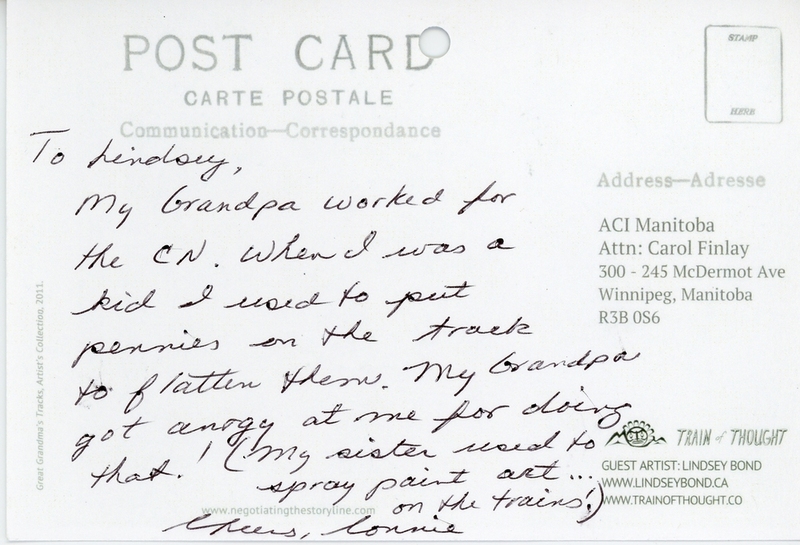 I look to further understand the affect of the railway in Canada from an multiple perspectives, rewriting our shared histories together. 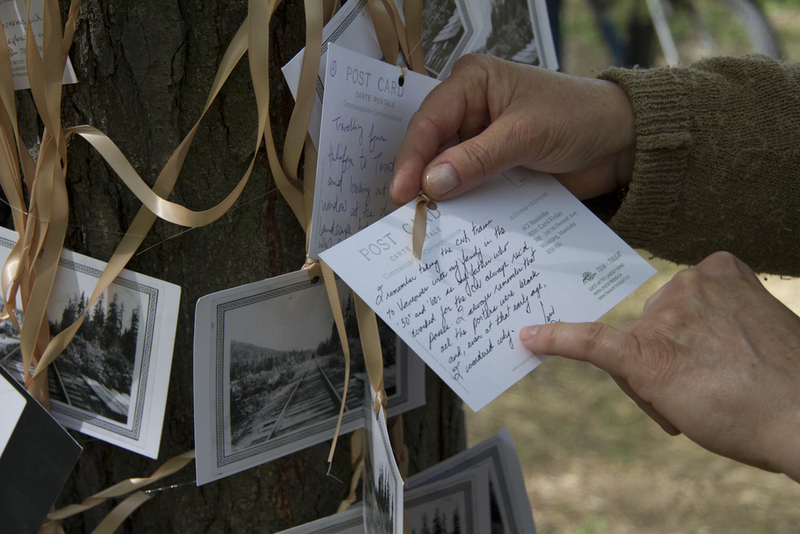 Story Line is a participatory installation where the public is invited to write personal stories, on postcard, about the effect of the railway in their community. 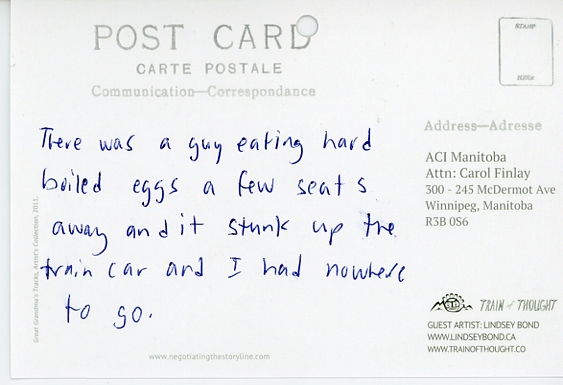 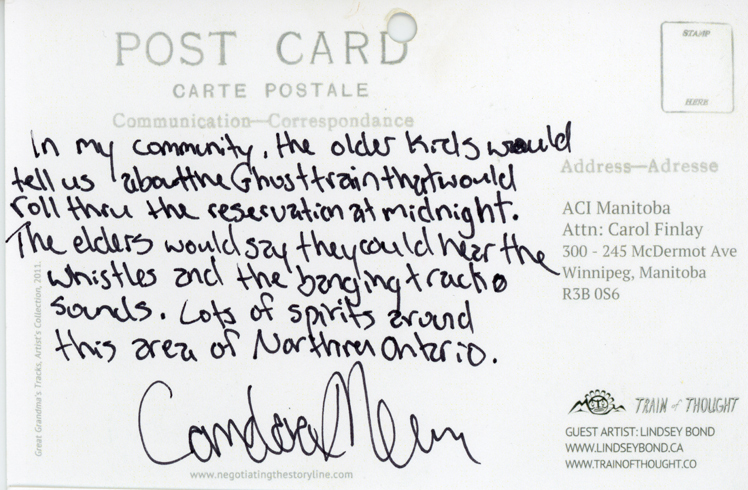 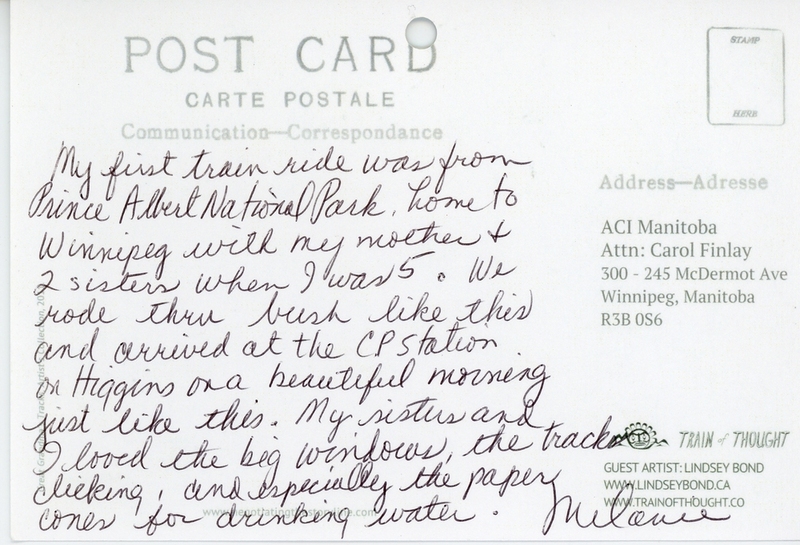 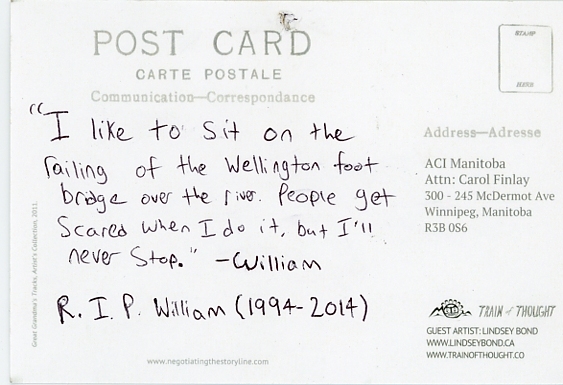 The postcards move to open up a conversation about contemporary Canadian rail culture, through which we may confront our daily movement, mark memories and re-write history. 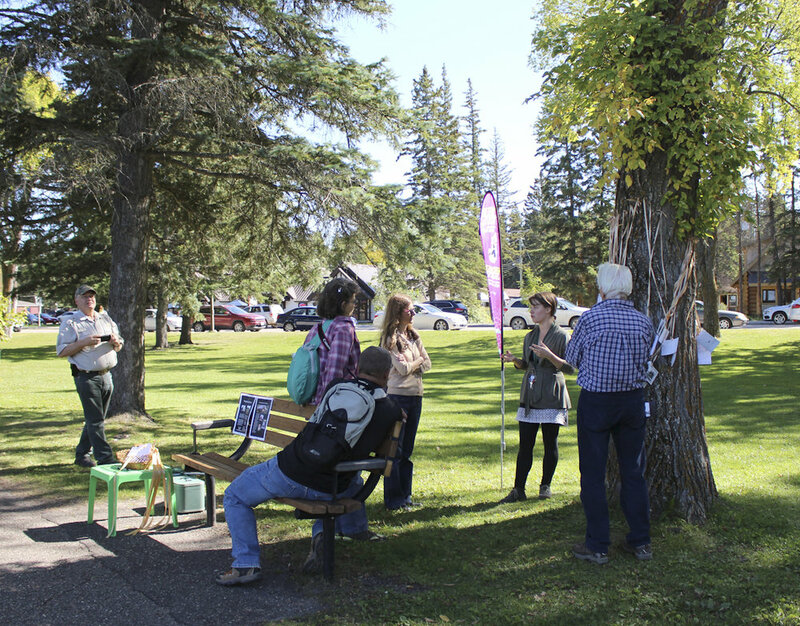 Negotiating Spaces has visited: Riding Mountain National Park, Waywayseecappo First Nation, Sandy Lake, Erickson, Dauphin, Winnipeg, Thunder Bay, Sudbury, Nipissing First Nation, North Bay, Wikwemikong First Nation, Manitoulin Island, Mississauga First Nation, Blind River, Toronto. 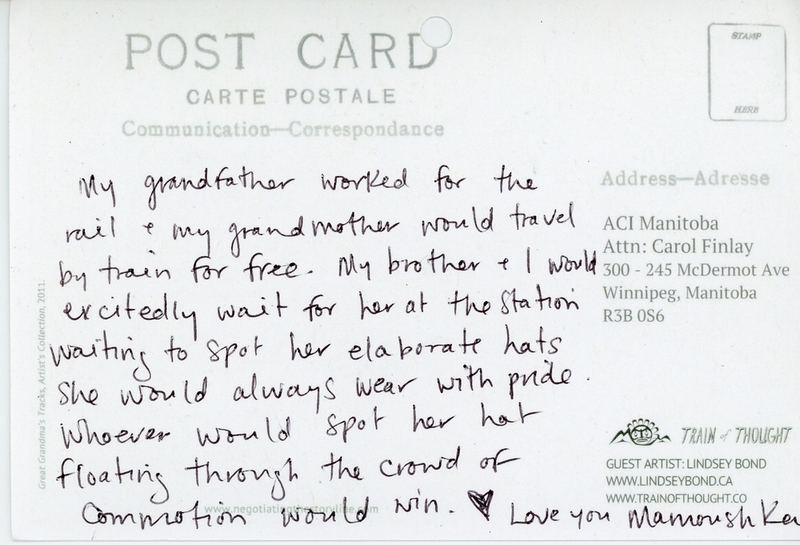 Visit the BLOG! 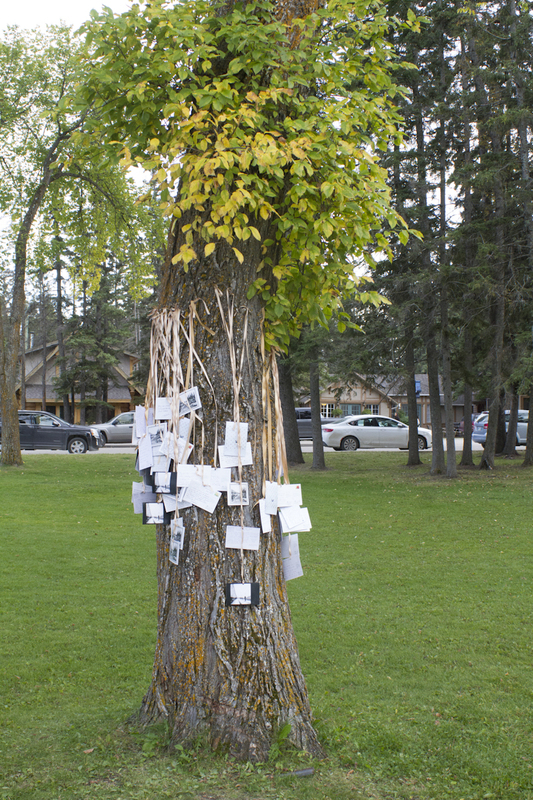 Video projection and installation for "Your Kontinent": The Richmond International Film and Media Arts Festival 2011. Projected inside train-car container in Richmond, BC. 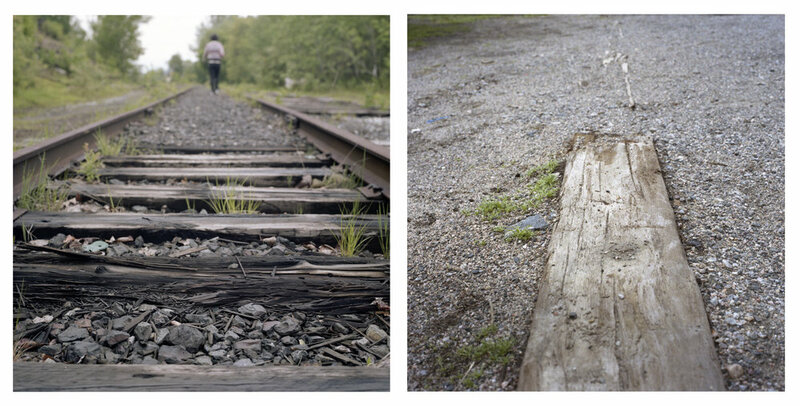 Thank you to George Faulkner for accompanying me on this journey and the videography for this project.